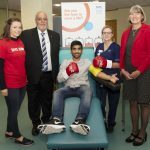 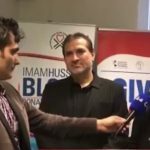 The Scottish Ahlul Bayt Society (SABS) launched its annual Imam Hussain Blood Donation Campaign Scotland efforts this week, on the 1st of the Islamic Month of Muharram. 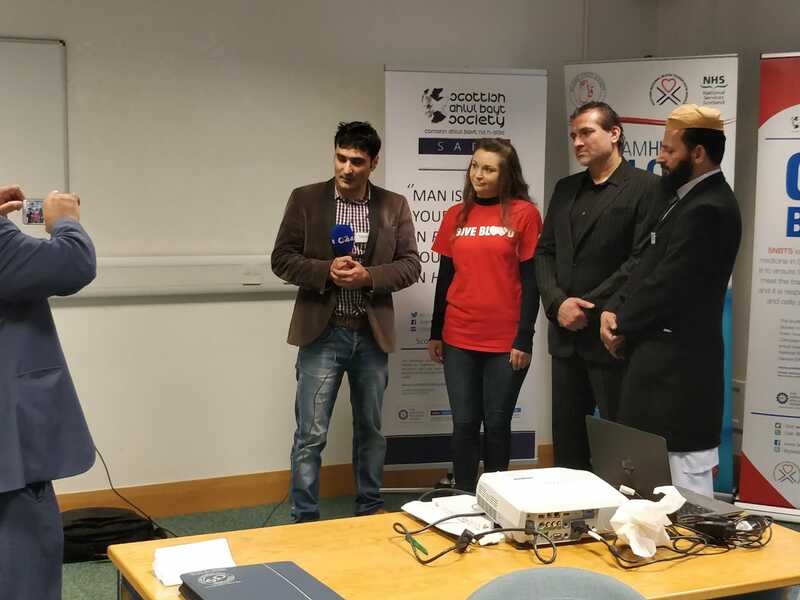 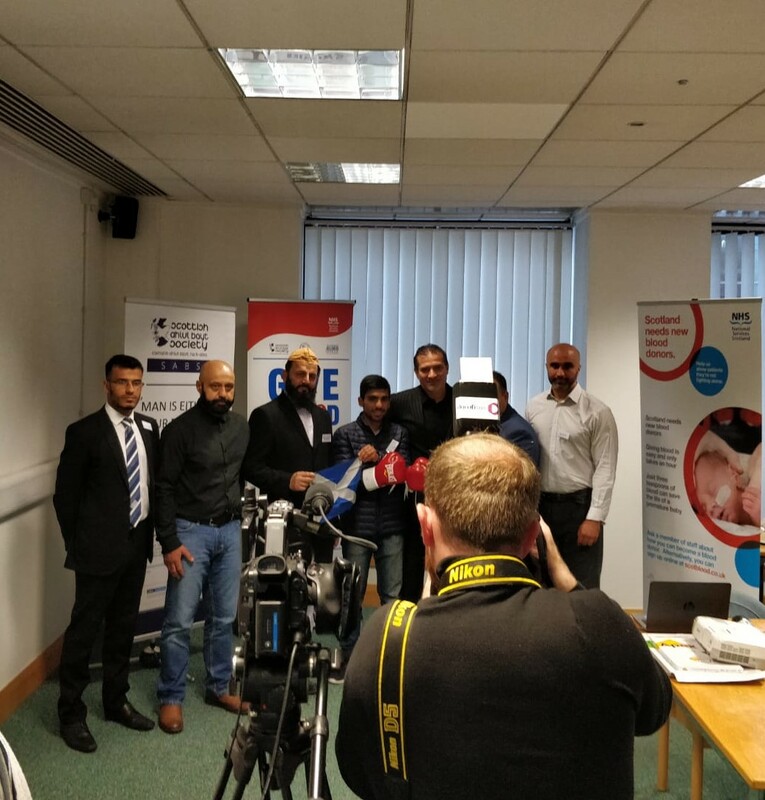 This year, the Scottish Ahlul Bayt Society launched its 6th Imam Hussain Blood Donation Campaign Scotland drive by introducing our partnered Muslim organisations to the Scottish National Blood Transfusion Service (SNBTS) in Glasgow’s Blood Donor Centre. 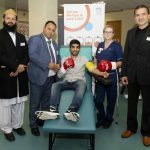 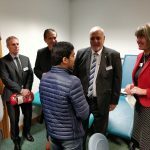 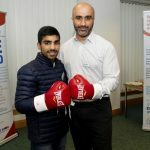 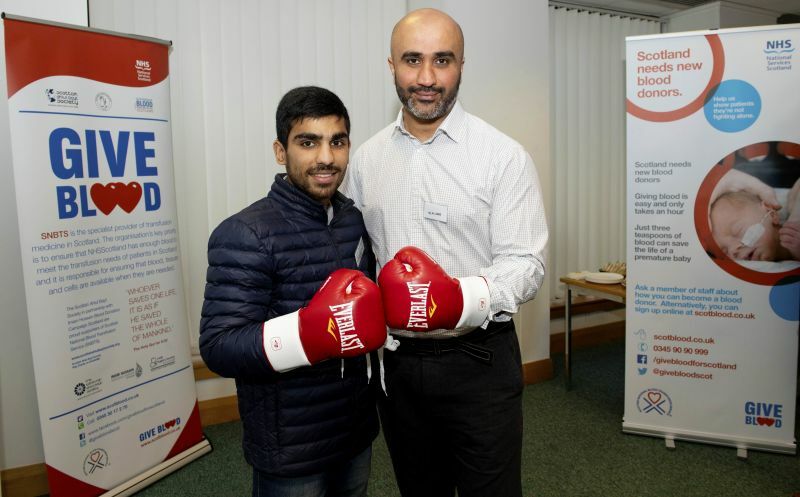 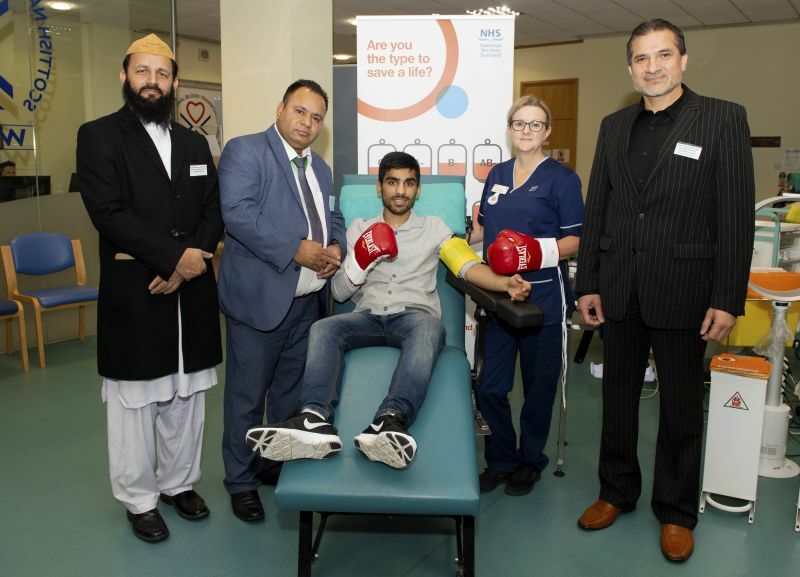 We were pleased to have had British Boxing’s bantamweight titleholder, Kash Farooq attend and support the event, promoting the cause of the Imam Hussain Blood Donation Campaign and blood donation more widely. 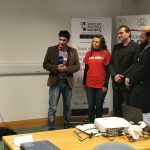 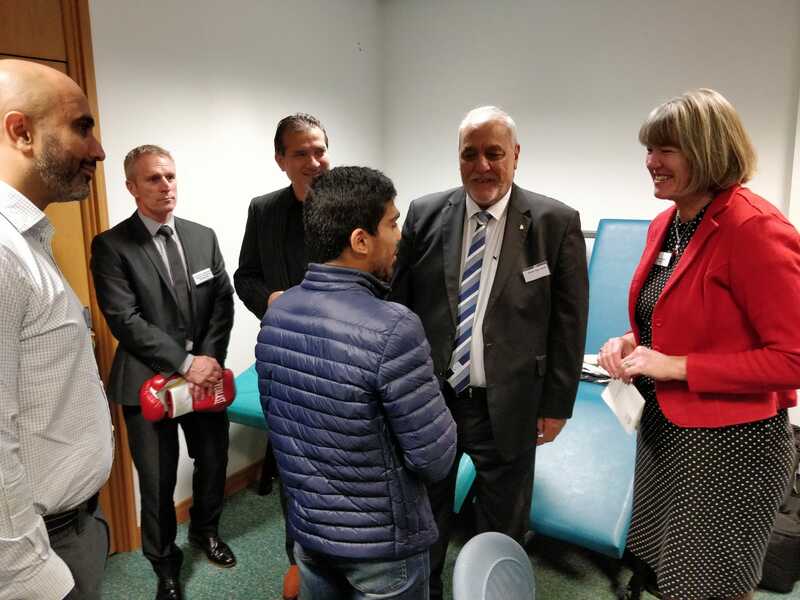 The move encourages key Muslim actors, on a united front across denominations, to encourage their congregations and communities to give blood in the name of Imam Hussain and his salvific message of goodness and compassion. 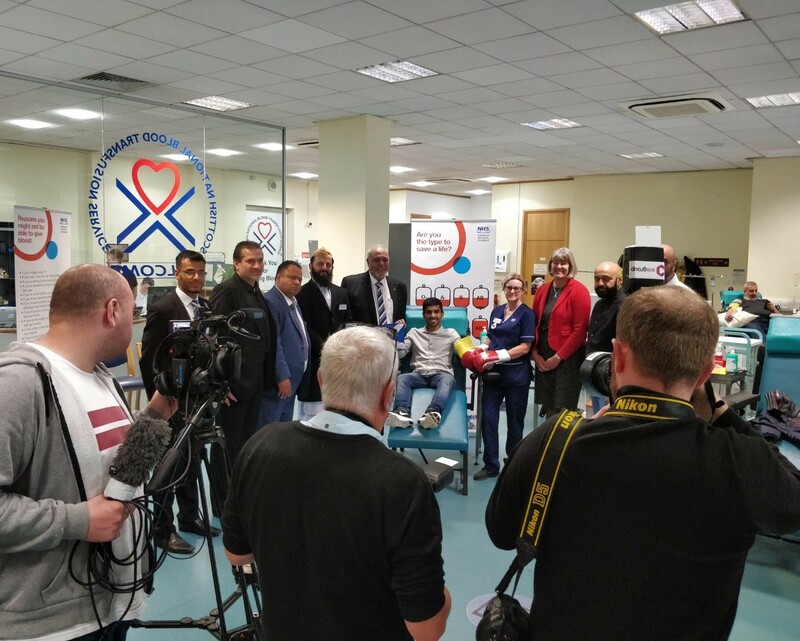 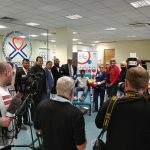 We thank the press who covered the event over radio and print media aiming to continually highlight the need for blood donation in Scotland. 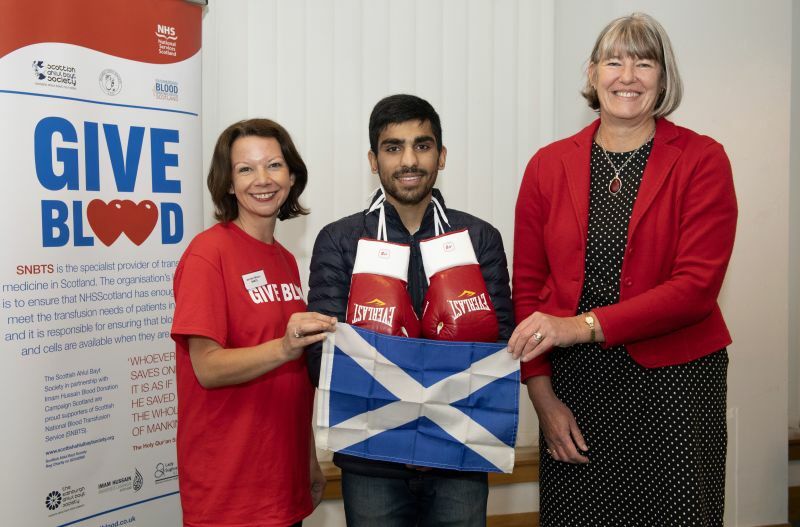 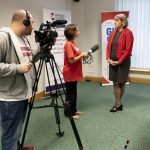 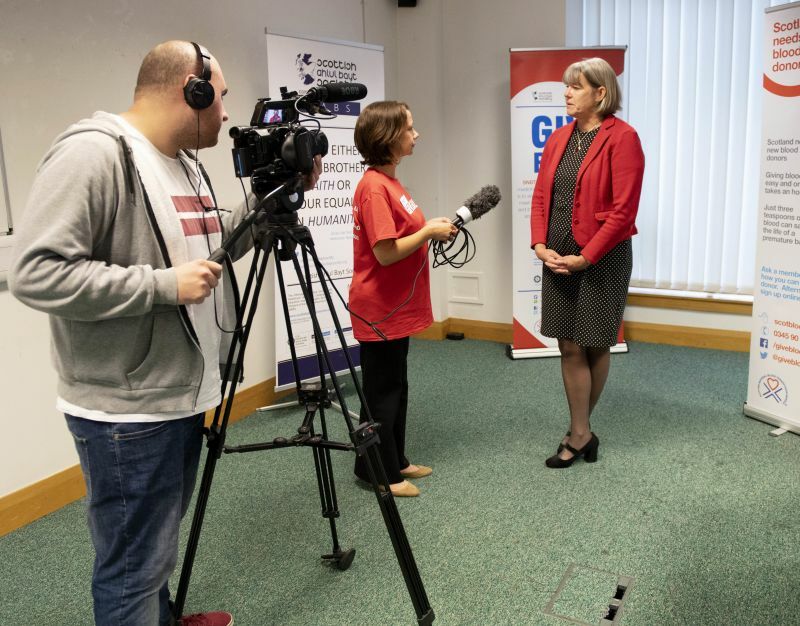 The event was held in partnership with the Scottish National Blood Transfusion Service (SNBTS) and NHS National Services Scotland, and was directly supported by Mary Morgan, Director of the SNBTS, along with Jennifer Wilson and Edward Ford of the SNBTS. 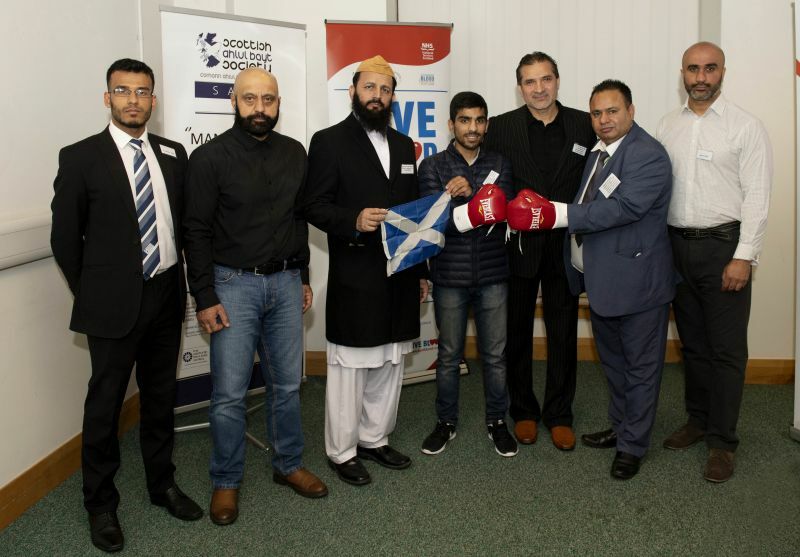 Our special thanks extend to Syed Mohammad Suqlain Shah, Chairman of Dar ul Ehsan Scotland, Syed Tanveer Gillani, Founding Member of the International Naat Council Scotland, Malik Khalid Warsi, Chairman International Naat Council Scotland, Fareed Ahmed Ansari of Dunya News and Muhammad Fiaz Ali of C44 News. 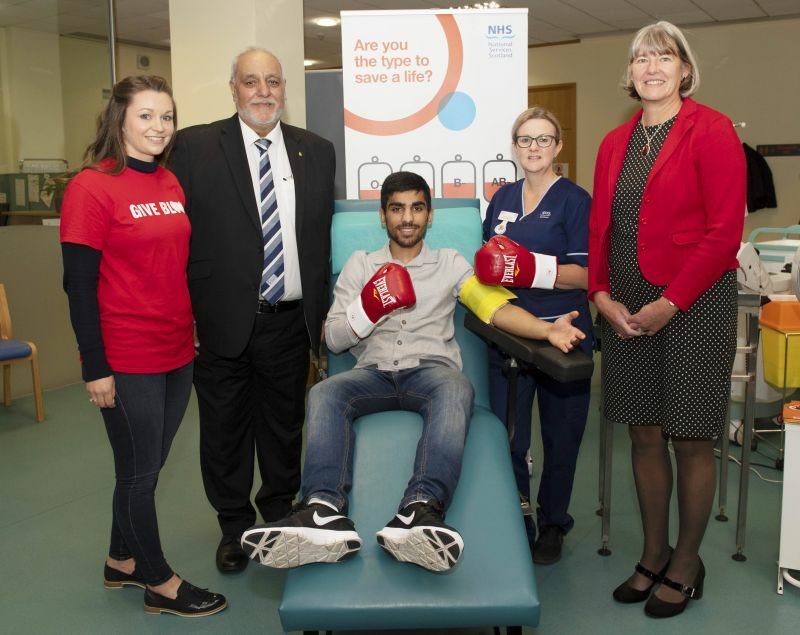 Also, a huge thank you to Chris Stephens MP for tabling an Early Day motion in UK Parliament in recognition of the launch of the Imam Hussain Blood Donation Campaign Scotland held ahead of the Islamic month of Muharram this year. 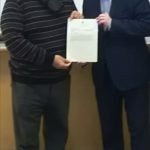 The motion is given below.